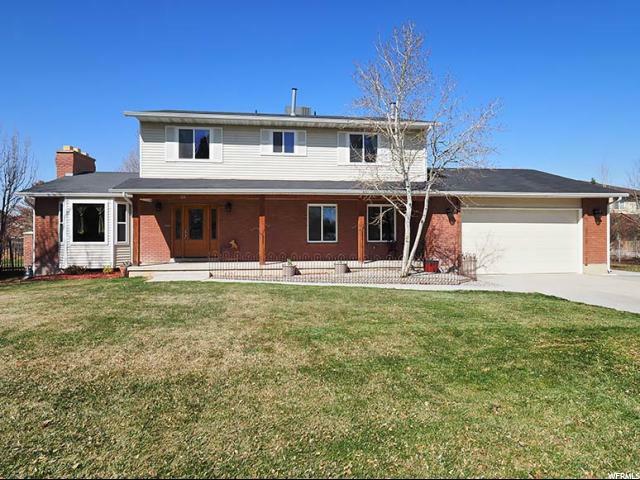 1220 W COUNTRY CREEK DR.
Beautiful 2 story home in quiet neighborhood, the owner has taken great care of this home and has updated most of the home in the last year. Kitchen has beautiful granite countertops and gorgeous tile floor. There are 2 separate areas for dining and entertaining on the main floor. The water heater and furnace are only 2 years old and they have installed a brand new rain bird automatic sprinkler system. All new appliances on the main floor and basement in the last 2 years. The large covered carports in the back are a huge bonus to keep your toys covered. The windows and outdoor lighting are new and they have added a custom front door. There is so much storage, tons of closets and a huge mudroom/laundry room. The basement has its own kitchen and living space. The top floor has its own heating and cooling unit. The Mountain View is awesome and the yard is perfect for entertaining, with a large covered patio with sun shades. Huge lot almost 3/4 of an acre. So many options. Per South Jordan City planning and zoning, property can have up to 2 horses. Buyer to verify info. Square footage figures are provided as a courtesy estimate only and were obtained from __county records____________ . Buyer is advised to obtain an independent measurement.